I am currently studying the Hellenic Order of the Arcanum Arcanorum, and initiated to the 3=9 level of Practicus in August 2017, and attained my Usui Reiki Master level in December 2016. 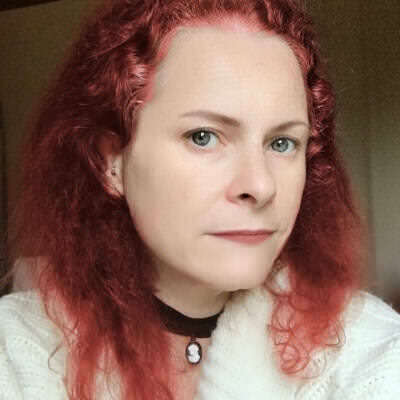 I have been a practising pagan for over 24 years and been a Neo-Pagan (Witch), a Priestess & Crone of Hekate, and now I am a student of the Arcanum Arcanorum (practising Helena) and an Ordained Priestess. I'm spending quality time with my two younger children, nurturing them while they go through College. And also, enjoying my own space to live and learn all about the A.'.A.'. and OTO. I am looking for good friendship that blossoms when I find a connection in such a profound way that we both want to be with each other equally and without control, thereby allowing each other to live without ego taking over and negative emotions destroying our true love, then I will be truly able to say I’m no longer single. I believe that religion is a form of language like speaking French, English, Hindi or any language of our world. That it is a language of faith and/or worship, that allows each and every person who chooses religion to give them love, hope and security in their life as long as there is no harm to others. No religion or language of faith is superior to any other, it simply has the means for an individual to 'feel' a connection and connect. A lot more Adrenalin things like, jet skiing, zip wiring, rally car racing, horse riding, helicopter, sailing, para gliding from a speed boat. Things that are extreme sports. I look for someone I strike up a good friendship with that then moves to a connection with someone, that transcends this world, not lust, but real love.